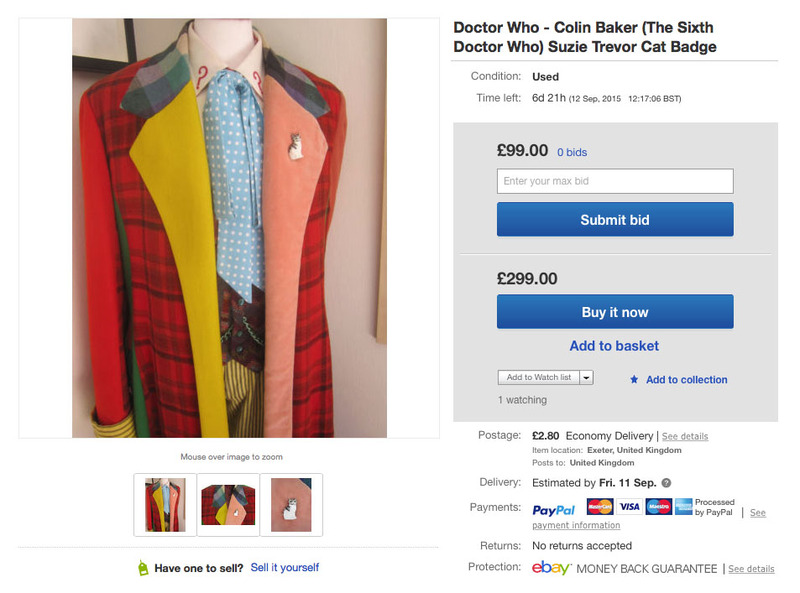 All I can say is be careful of paying massively over-inflated prices for things that might appear to be better than they are. 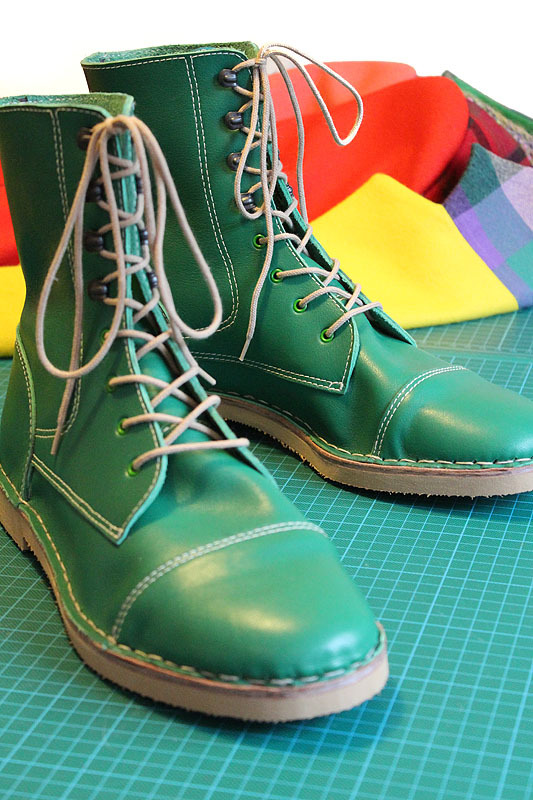 Always ready the description closely too. 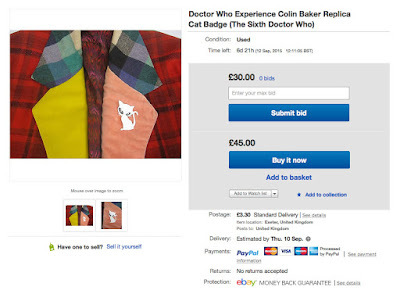 BBC Costume Designer Pat Godfrey purchased four cat badges from a specialist badge shop in Central London for Colin Baker’s costume in 1984. The badges were hand made by Suzie Trevor in clay. 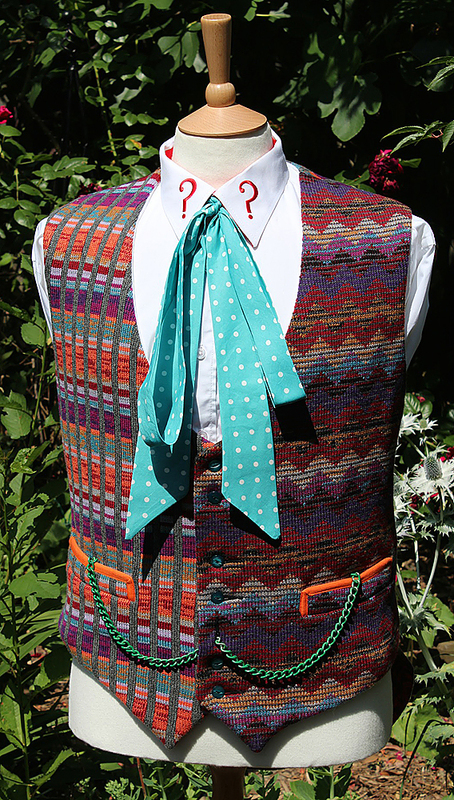 This badge was one of four created for me by Suzie from her original moulds and has been displayed on my screen used Colin Baker Costume in a number of exhibitions. 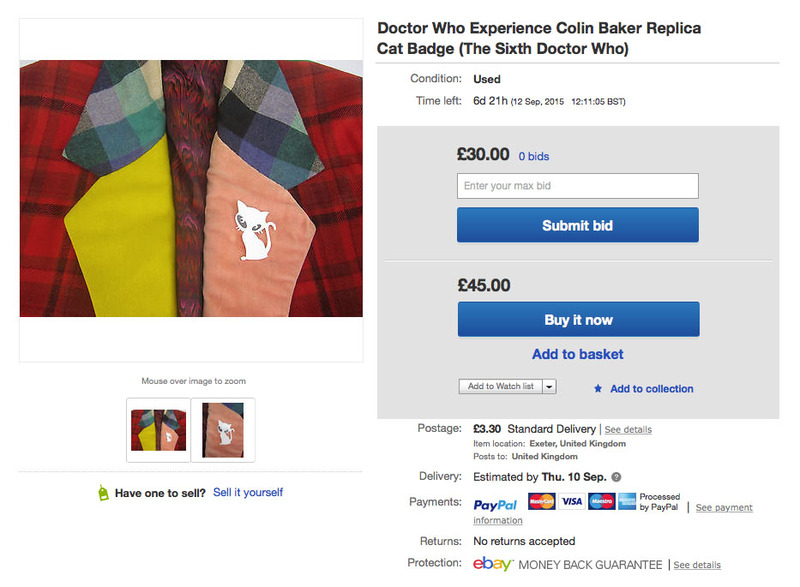 PLEASE NOTE YOU ARE BIDDING FOR THE BADGE AND NOT THE ORIGINAL COSTUME!!!!! 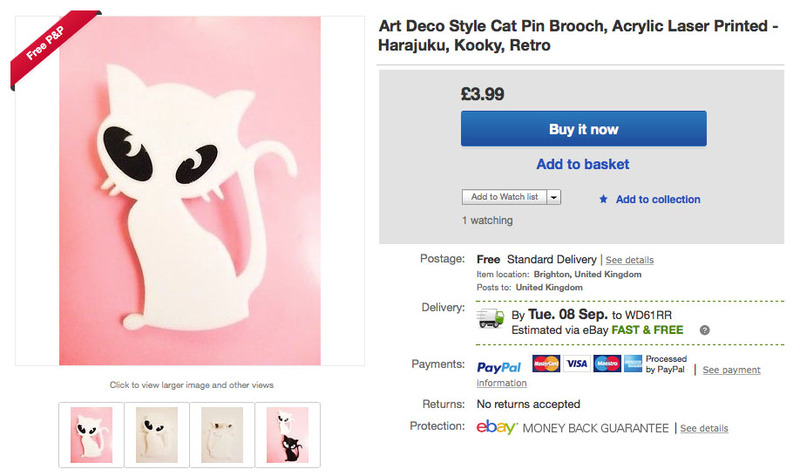 Just a reminder that you can still buy an EQUALLY ORIGINAL cat brooch, hand made by Susan Trevor from the original mould, for £35 inclusive of global shipping. 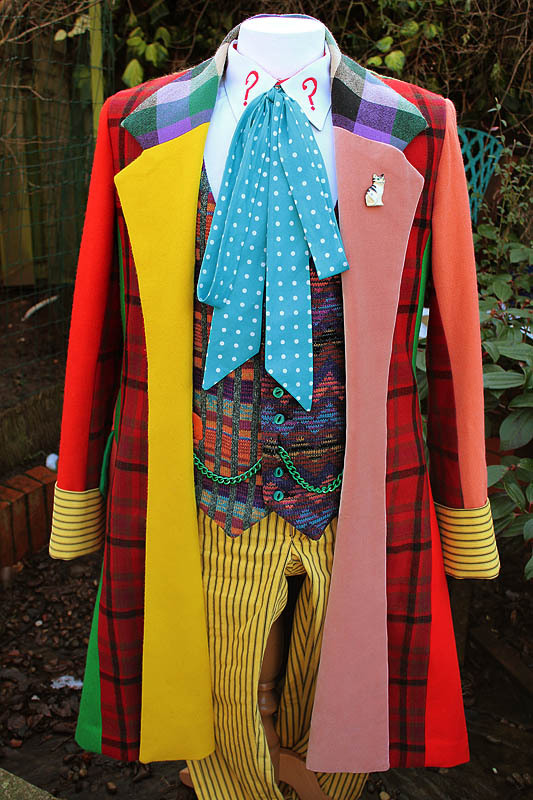 Making My 6th Doctor Costume - purrrrrrfection! 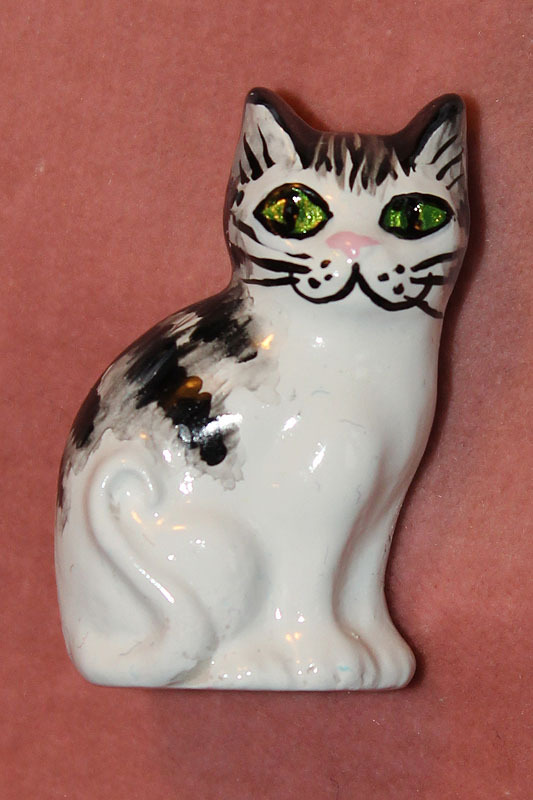 This cat badge is the same as the badge used in the Official BBC Television Exhibition ‘The Doctor Who Experience, Earls Court, London. The costume displayed in the exhibition was not screen used but a replica made by a couple trading under the name ‘Cloth Ears’. A badge of this design was used on the display. 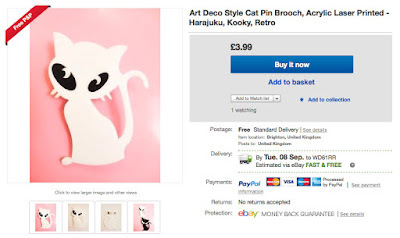 I was browsing around on eBay and found a cheap as chips listing for a white plastic cat brooch which I thought was worth a look. 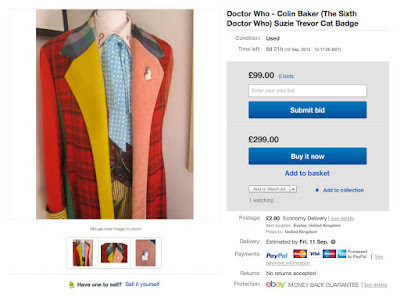 Is the coat/ensemble in these pictures an original? It looks too good to be a replica!